SMALL GROUPS OF 5 MAX ! SURF THE KIND OF WAVES YOU CAME FOR !! 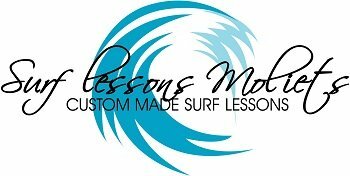 Group Surf Lessons are in SMALL GROUPS of 5 MAX ( unless requested)! We believe that the learning environment is everything when improving your technique or are totally fresh into surf. For this reason the group surf lessons are kept small. Your Guided Surf Trip – Moliets. Don’t Waste Your Time looking for the best waves. Get some Local Knowledge! Everyone has done it, arrived on a surf trip and hoped that judgement will take you to the best spots for that day. The Kids and I wanted to learn the basics of surfing but not as part of a huge group in the conventional way. We certainly got what we were after with Troy. Fun from start to finish, a really knowledgeable guy with a great teaching attitude, and some GREAT stories. The most important thing – we all progressed during our two sessions and came away with a great sense of achievement and were treated to some great beaches away from the crowds. Hijo Troy, Thank you for your help on the transition from minimal to shortboard. My objective was accomplished. Your tips and board selection were excellent. I am really looking forward to come back as soon as I can. All the best, Guillermo. It was a fantastic experience learning to surf with Troy this September. He was very helpful and professional. He gave us feedback after every wave and explained what exactly we were doing wrong and how to get it right…I actually got up and surfed within the first 1/2 an hour of our 1.5 hour lesson! Excellent and can't wait for next year! Copyright © 2019 Surf Lessons Moliets. Powered by WordPress. Theme: Spacious by ThemeGrill.